Subramanian, who criticised demonetisation in his new book titled 'Of Counsel: The Challenges of the Modi-Jaitley Economy', was, however, evasive when asked if he was consulted on note ban. 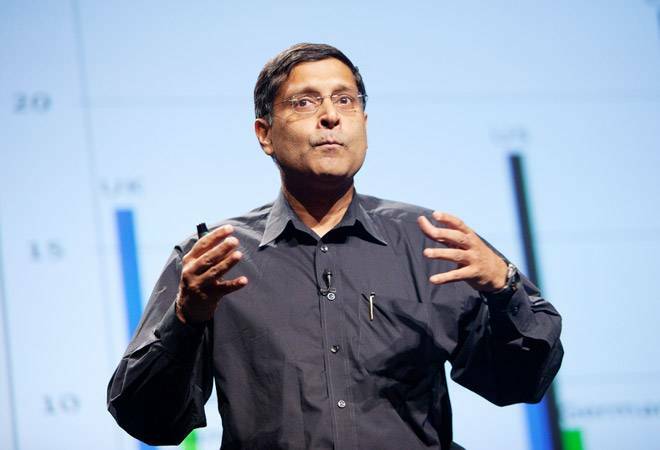 Amid raging controversy over the revised economic growth numbers, former chief economic advisor Arvind Subramanian has called for an investigation by experts to clear doubts and build confidence while noting that the "puzzle" about the data needs to be explained. "As an economist, I think there are some puzzles (new back series GDP data) there are some issues that need to be explained. Since there are things that need to be explained, we should, just to create confidence and eliminate any uncertainty or doubts, I think we should have experts who can investigate this thoroughly and give their answers," Subramanian told PTI in an interview. On the controversy over the Niti Aayog's presence at the release of the GDP back series data by the Central Statistics Office (CSO) last month, he said that experts should have the main job of producing and explaining data. "I think this (calculation of GDP) is a very technical task and technical experts should do the task, institutions that don't have technical expertise should not be involved in this," he said. Recalibrating data of past years using 2011-12 as the base year instead of 2004-05, the CSO last month lowered the country's economic growth rate during the previous Congress-led UPA's regime. Asked whether he was consulted in the decision-making process on demonetisation, the former CEA said, "In the book, I said that this is not a Kiss and Tell memoir, that is for gossip columnists." Referring to criticism that he did not speak on demonetisation when he was working for the government and now he is raising the issue to sell his book, Subramanian said, "People will say whatever they say, right." "But through my new book, I was drawing attention to the puzzle, the big puzzle, 86 per cent reduction in cash (after demonetisation) and yet the impact on the economy was much less," he said. "Is it (less impact on the economy after note ban) because we are not measuring GDP correctly, or is it because our economy is very resilient," Subramanian who currently teaches at Harvard Kennedy School remarked. In the six quarters before demonetisation, growth averaged 8 per cent and in the seven quarters after, it averaged about 6.8 per cent (with a four-quarter window, the relevant numbers are 8.1 per cent before and 6.2 per cent after)," Subramanian wrote in the chapter "The Two Puzzles of Demonetisation -- Political and Economic". Prime Minister Narendra Modi on November 8, 2016, had announced demonetisation of Rs 1,000 and Rs 500 notes in a major assault on black money, fake currency and corruption. On the recent spat between the government and RBI over a host of issues, Subramanian opined that the autonomy of RBI must be protected because the country will benefit by having strong institutions. "But, I think there must also be cooperation, consultation and everything. Both have to happen," he asserted. On rising intolerance in the country, Subramanian said the experience in the world shows that the countries witness better economic development if there is more social peace. Subramanian was the CEA in finance ministry from October 2014 to June 2018.